Today we present another challenge. But before we get to that... how many of you sent a letter to someone last week? Hmmmm??? Well, if not...then you have double duty this week. Maximum Weight: 13 ounces (over 13 ounces, First-Class Mail becomes Priority Mail). Letter Maximum Weight: 3.5 ounces. 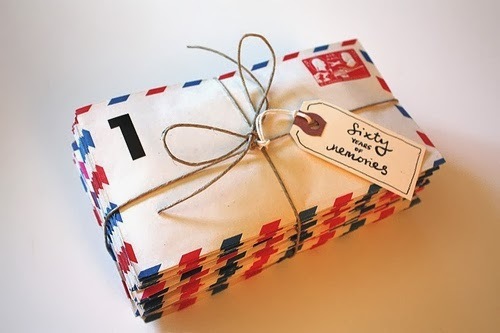 Minimum Quantity to Mail at Commercial Prices: 500 pieces. First-Class Mail letter-size pieces that are square, rigid or meet at least one of the nonmachinable characteristics are subject to the nonmachinable surcharge. 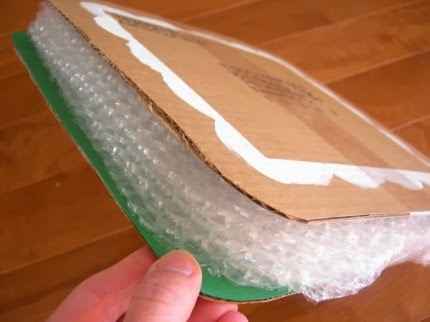 Flat-size pieces that are rigid, nonrectangular, or have uneven thickness will pay the parcel price. Great information, right? But what does this mean??? Well, readers and fellow sharers of merry... this means that the sky is literally the limit as to what you can mail. 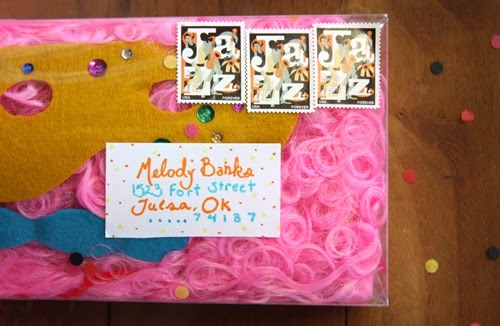 In fact, there are so many fun things that you can mail that a fellow blogger has an entire blog dedicated to just that. MAILING FUN THINGS. And a homemade HOPSCOTCH board. Y'all. This momma is amazing. We salute her with the HAIL MERRY award. 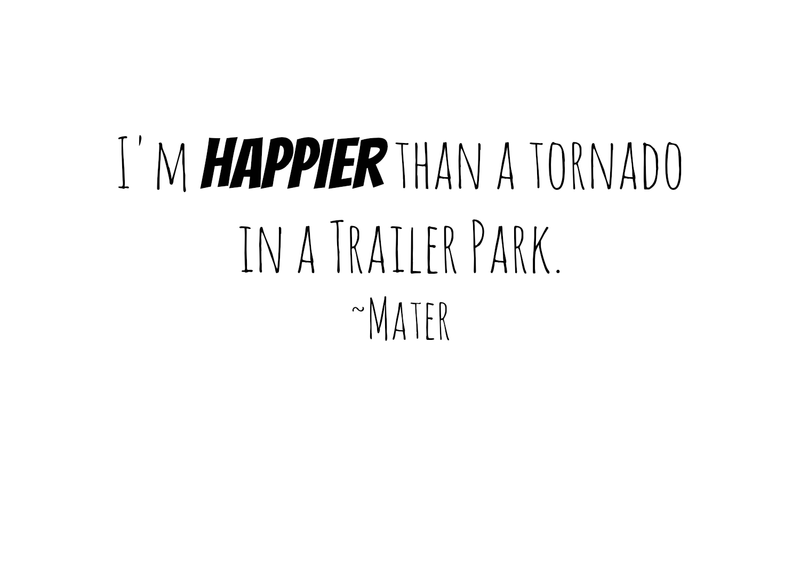 (Which doesn't actually exist, but it totally should). So our challenge to you. Find something. Create something. Craft something. Buy something. That is 13 oz or less. Take pics of you packaging it all up and ask the receiver to take pics of getting it. And then send it in. 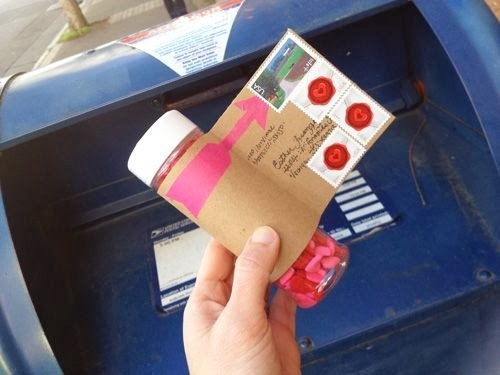 Think of the fun mailbox memory you would create for someone. THIS IS AMAZING and we want to see how you share the merry!!! What can we say... we are a sucker for celebrating big. 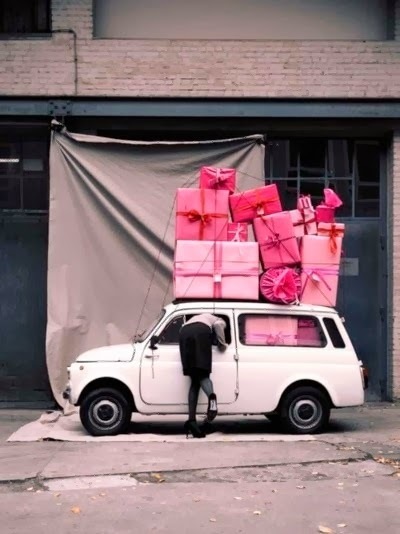 Even the smallest things are a big deal to us... so give us an actual special occasion and we may need to be restrained. And sometimes all of that work and effort may not get the reaction we hoped...but it is definitely worth it. 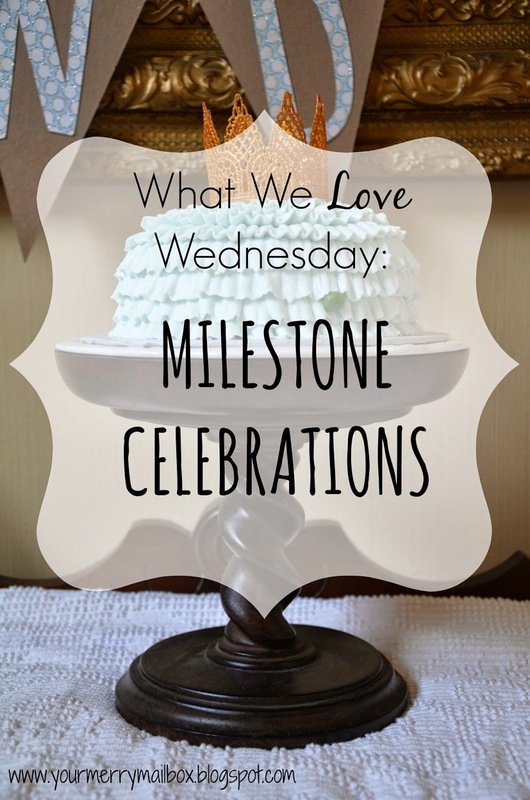 And milestones aren't called milestones for nothing... so pull out all the stops and do something unexpected!! Take a cue from Letterman and do a Top Ten List. Be the ULTIMATE parent/grandparent/bestie with this. (And then adopt us because this is super fun!) (And clearly this person doesn't exist because there was no source for this picture). The thirties definitely became the wine decade. 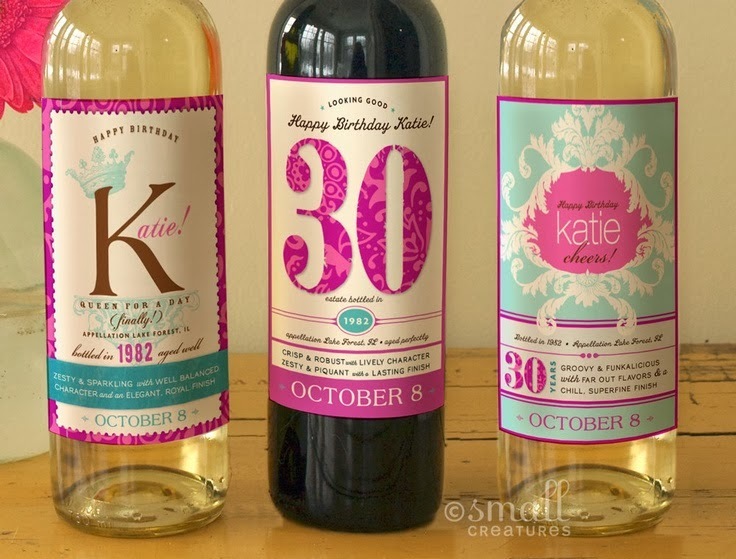 And what better way to celebrate that new found maturity than with some personal wine labels. Give the gift of Christie, Lewis, Shakespeare, Rowling, Tolkein, and Shankle. 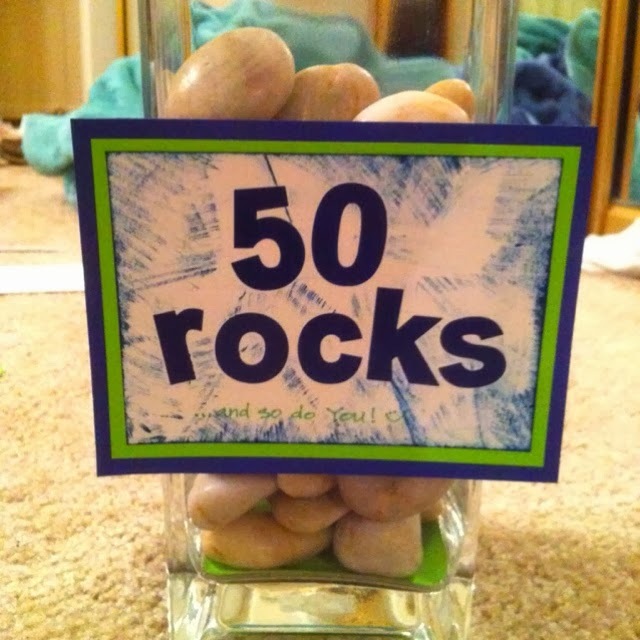 Have forty friends send their favorite book to the birthday boy or girl. Rock that age - and let them know that they should too! 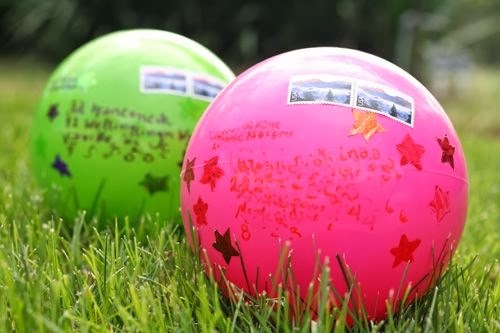 Find 50 rocks and have people write messages, memories and quotes. Because half a century is something to ROCK! Sixty words or MORE... get everyone in on the celebration. 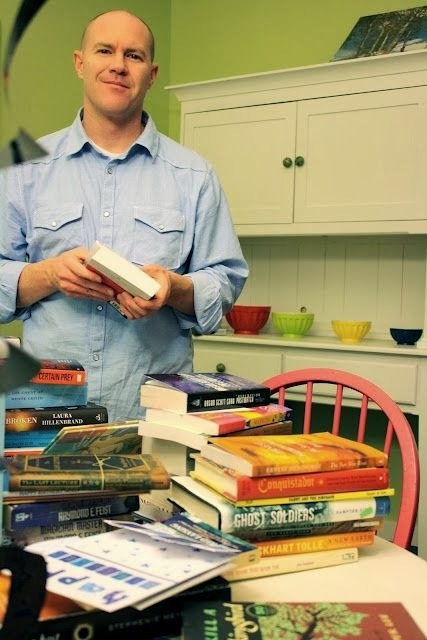 Read this story and think about how awesome it would be to receive and GIVE this gift! 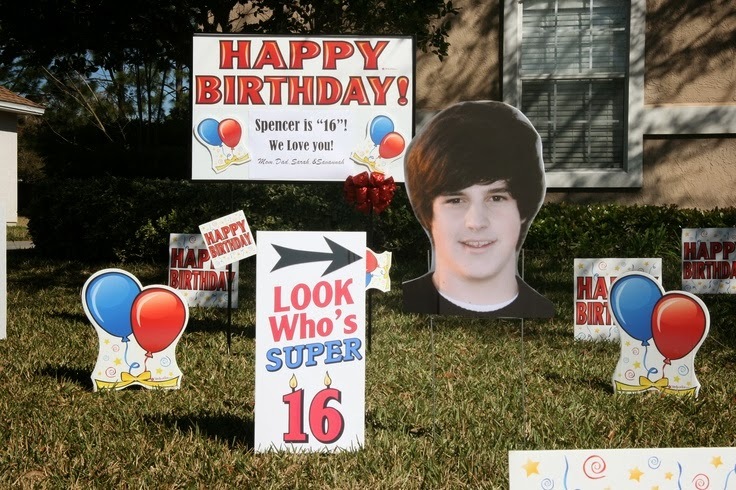 Today we are showcasing some movie birthday themes that have some great potential for a fun party! 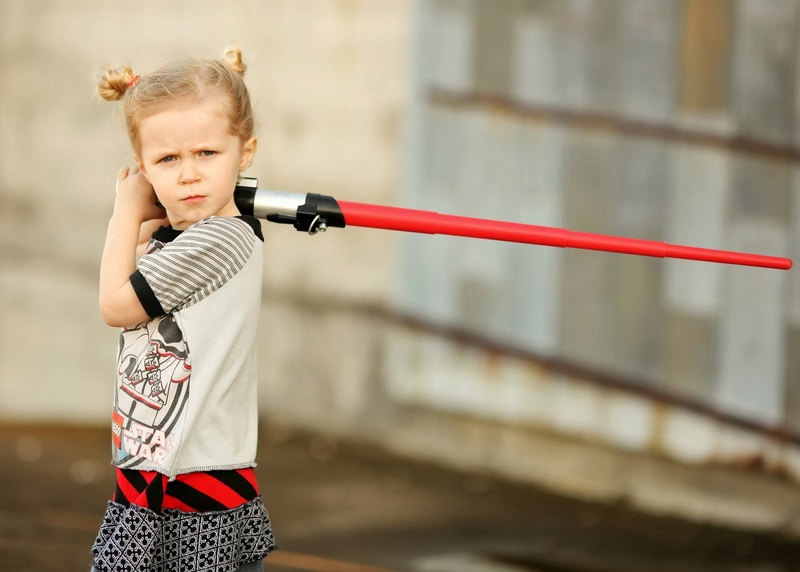 Check out sweet Caroline's 4th birthday... and let me just say the force is strong in this one. 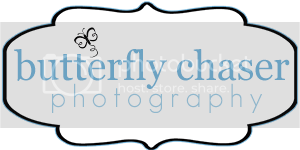 Photo Courtesy of Butterfly Chaser Photography. Caroline loves Star Wars. Like big fat puffy paint heart on a tshirt LOVES it. She gets it from her Daddy. And while Merry Momma C may not have been thrilled with this adoration of movie series... she is an awesome Momma. And when Caro wanted a Star Wars party, they delivered. 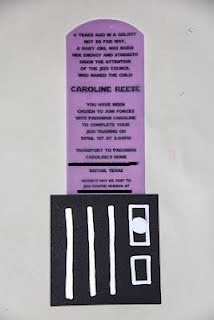 And it all started with this darling HOMEMADE party invite. Not the greatest picture, but there are others similar here. So this got us thinking...what other movies could serve as some PINspiration for sharing the merry? And then THAT got us thinking that we should ask you, dear readers. And we did. And you answered. So... here are our top picks for a movie themed birthday party. 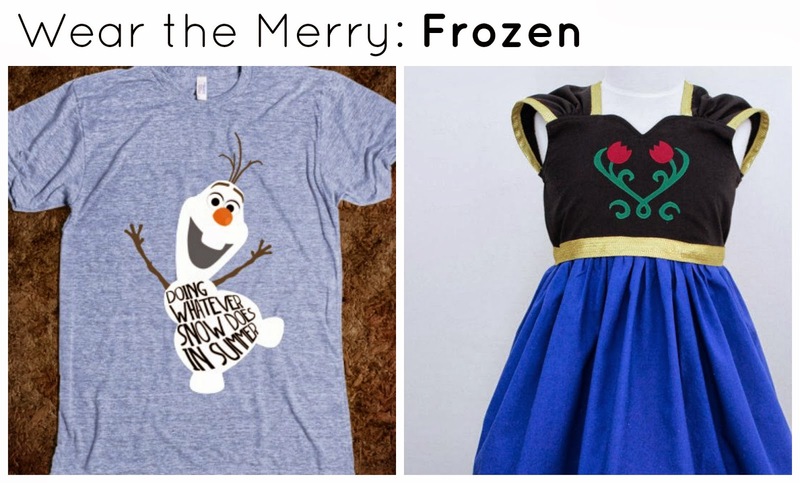 We couldn't even begin to think about doing this post and not suggesting Frozen. Seriously our kids are obsessed with it. We could quote it in our sleep. And for good reason... it's a precious movie and would make an adorable party theme for a girl OR A boy. Now, while not an essential part of the party... we are going to go ahead and say that wearing the merry is an essential part of the party. :) Seriously... it is so fun to get everyone all coordinated! And, it doesn't have to be huge or cost an arm and leg. This tshirt is adorable and Merry Momma K may purchase for the hubs and Rad. And this dress is awesome... and BONUS... has the word "practical" in the title, which for our all of our merry littles is key since they would live in their dress up clothes. While not the most recent release... cars are classic. A quintessential part of boyhood. This movie will withstand the test of time and the toys will literally never go away. 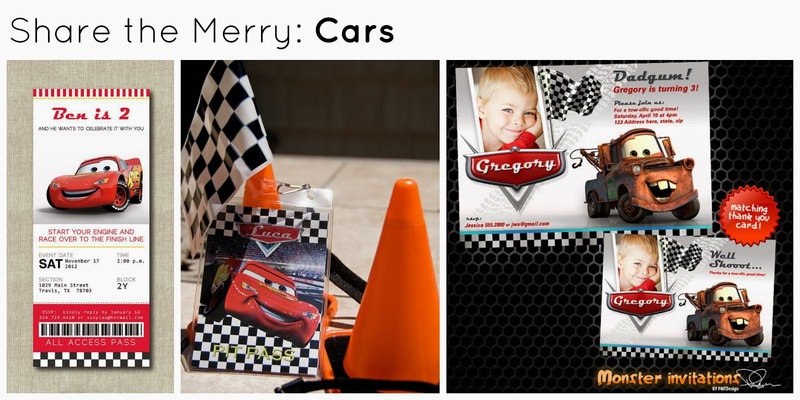 This ticket to the races would be so fun to get in the mail (we showcased this same vendor yesterday) and this Pit Pass = major cool points for any kid (big or small... 5 or 35!). 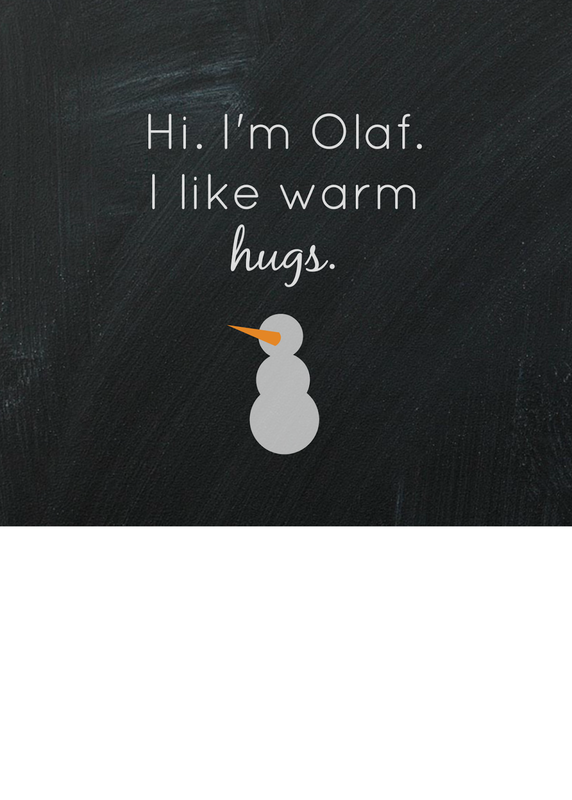 And we love any opportunity to show off the cuteness of the Merry Littles and know that you feel the same way about yours which makes this Mater invite perfect! 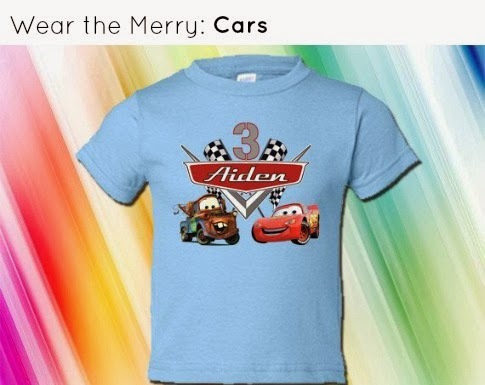 We love this personalized tshirt for your little racer. 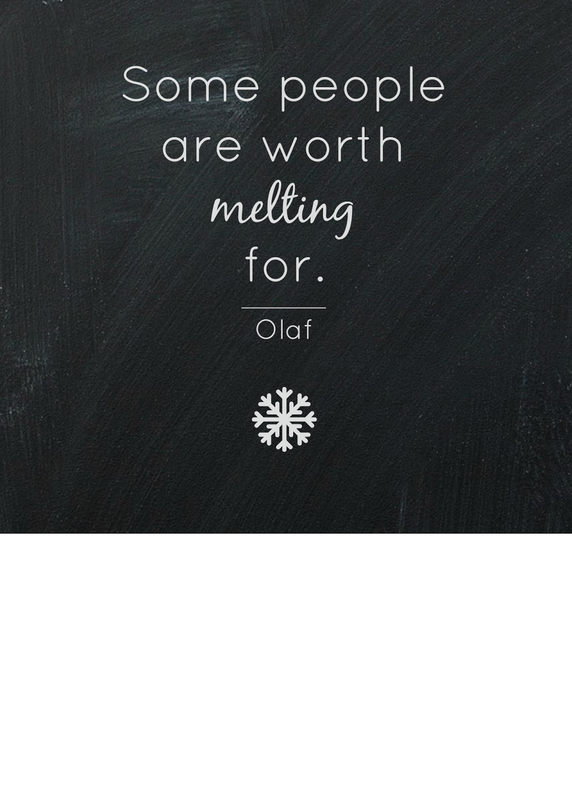 We realize that not everyone is in the same stage of life as us but Disney is kind of classic. 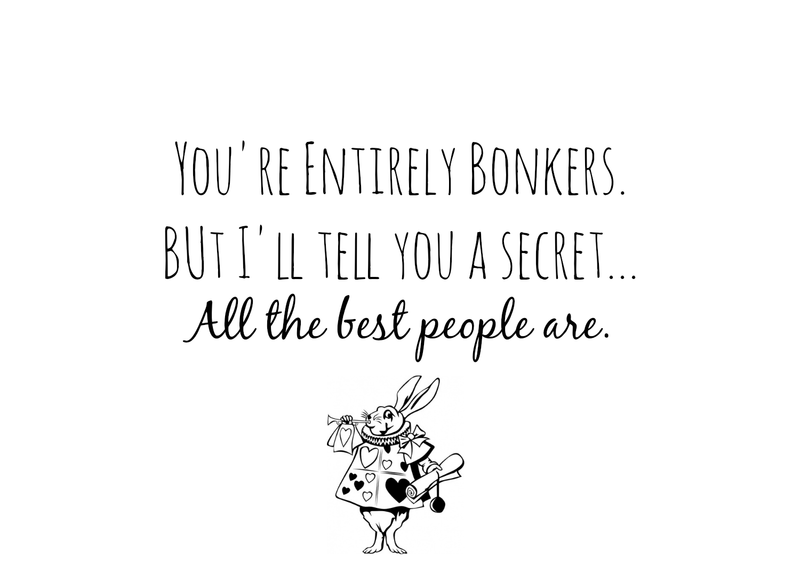 And Alice in Wonderland was mentioned by a couple of our readers. 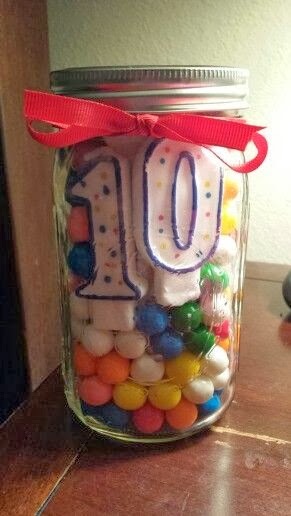 We think that this would be a great theme for those tweens and teens. 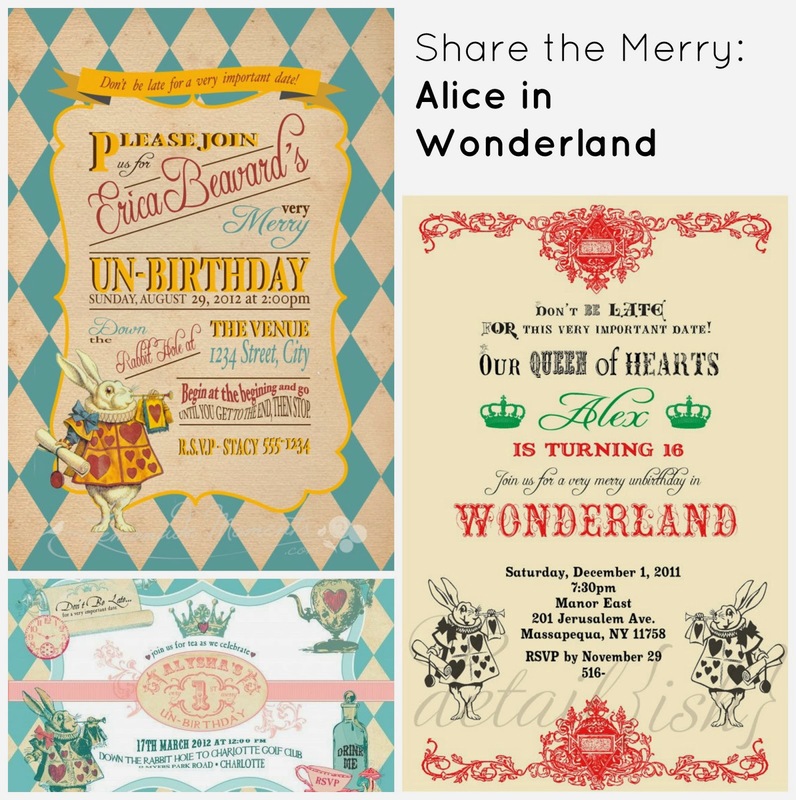 Check out all of these lovely invitation options. This movie lends itself to so many ideas... you could go shabby chic, totally mad or a bit vintage. I am crossing my fingers that someone I know will have this as a party theme just so I can get one of these invites in the mail!! Now, we realize that tweens and teens may not want to wear a costume to their party. Or maybe not these costumes. 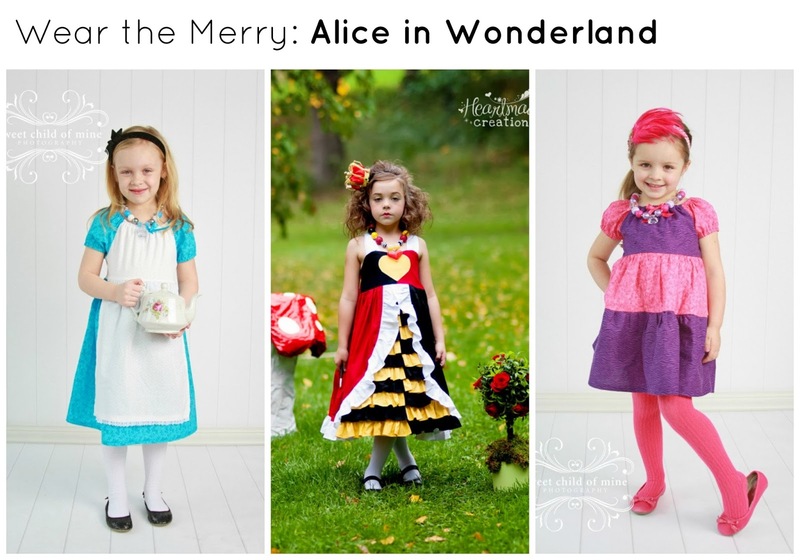 BUT... Alice in Wonderland + teenager costume in Pinterest brings up some interesting choices that we don't feel like sharing here. This is a family blog afterall. 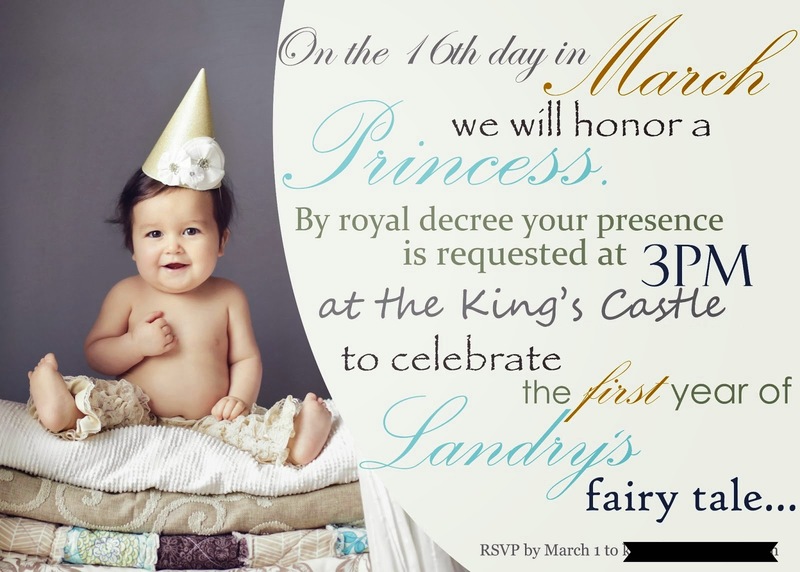 But this etsy vendor does AMAZING work.... Landry's 3rd birthday may just have to be a "tea for three" party!!! We all know that a party isn't complete without a thank you note. But, we didn't really find any that we fell in love with for these themes. So.... we attempted to make some printables. You should be able to right click on the images below and save to your computer. They are formatted to print as a 5x7 notecard. Just click on any of the images above and it will open in a new window. Save or print. We recommend printing on 100# white cardstock! Enjoy sharing the merry! Something big is just around the corner... the littlest Merry Little will turn TWO very soon!!! And, well, in honor of this fun celebration... we are dedicating this week to birthdays! From that special first birthday, to the fun kinder years and even to adults... we are going to bring the party to you. 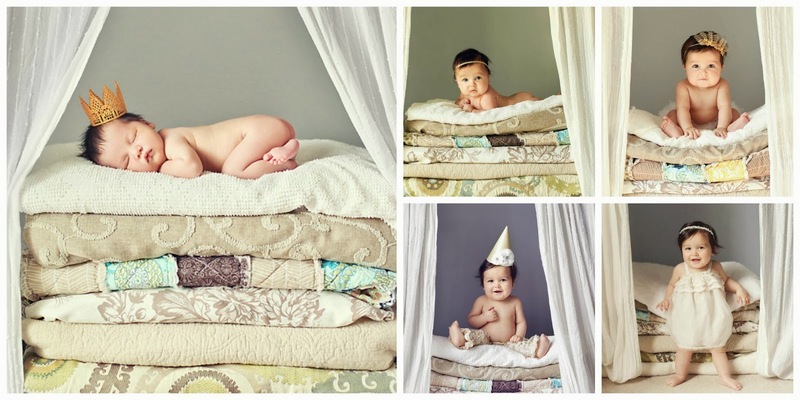 In honor of that sweet birthday girl, we are starting with some first birthday inspiration. We do first birthdays big(ish) around here. And by now you know that we also do crazy big around here, too. (Meaning, sometimes we are crazy). So I will own that crazy and admit that on the second whole day of my child's life, I had already planned her first birthday party. It's ok - you can judge. and even sent thank you notes to match with room at the bottom for a quick personal note. 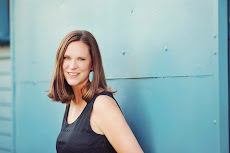 So, you are probably asking yourself (or telling me)... "Great, Katy...what does this have to do with me?" Well.. I will tell you! 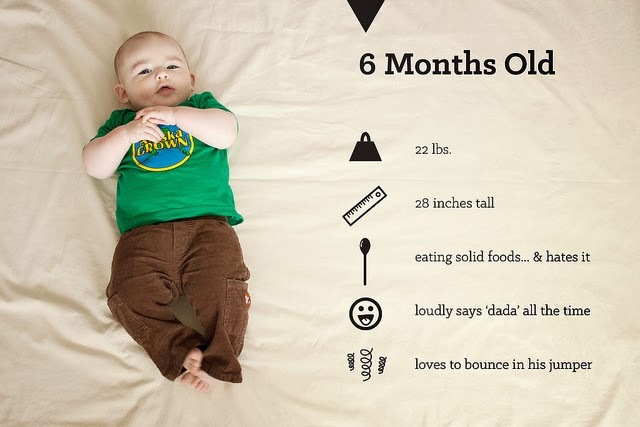 The first year of life is BIG! And not just for baby...but for Mommas and Daddys too! YOU MADE IT! YOU SURVIVED. Now throw yourself a PARTY! And, we really love the idea of carrying out a theme from beginning to end. And your loved ones and friends will appreciate the time and effort too! 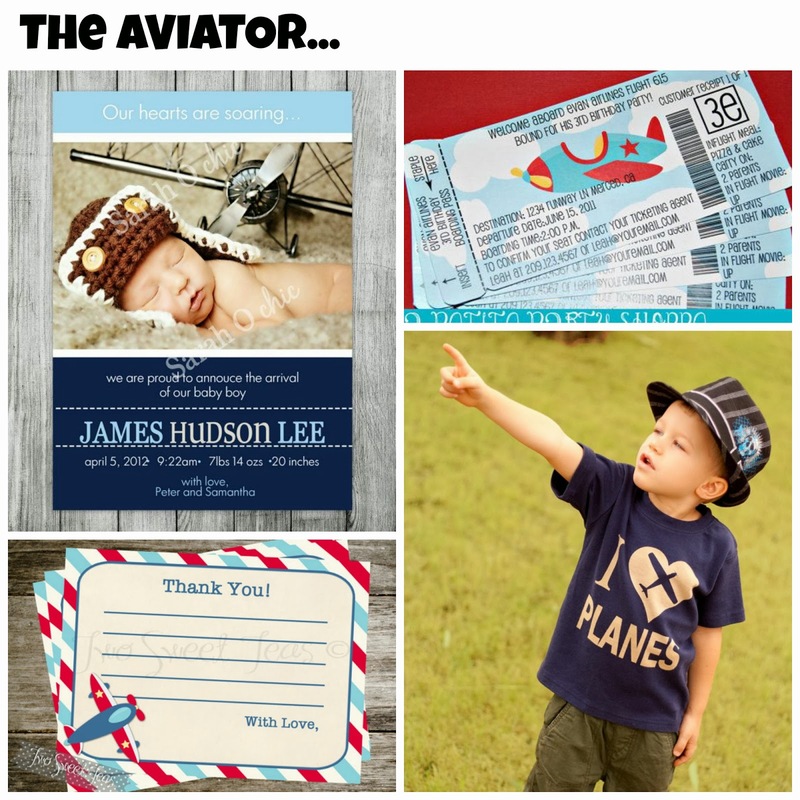 So here are our top 4 favorite COMPLETE ideas for birth announcements, party invites and thank you notes! 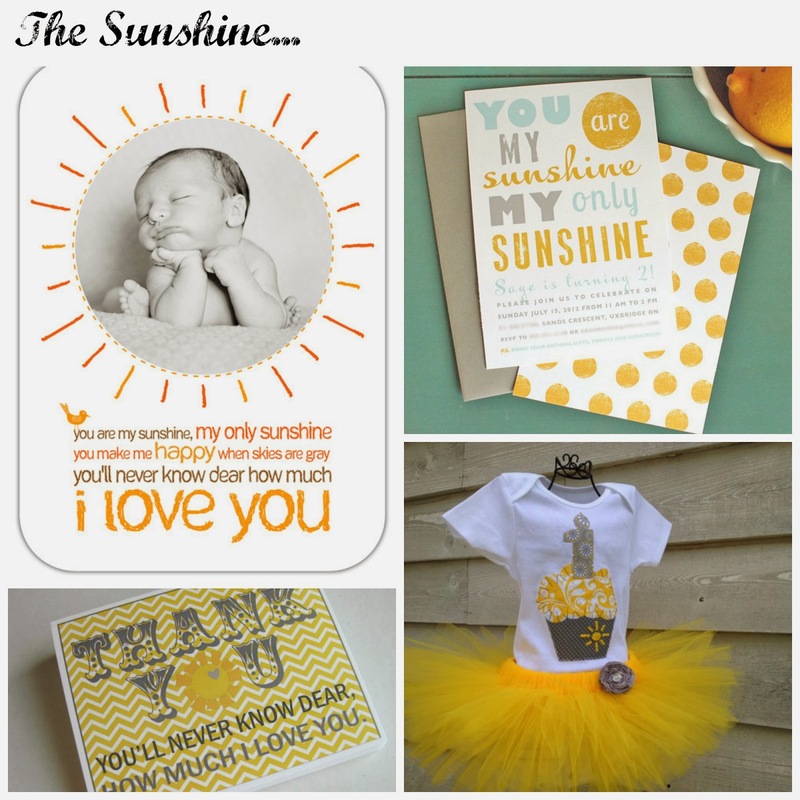 What better way to show how much you are SOARING with pride, joy and love than with this theme? Please pay close attention to the TICKET party invites!! This would also work for movie themes, a circus, or magic show party! I must admit... 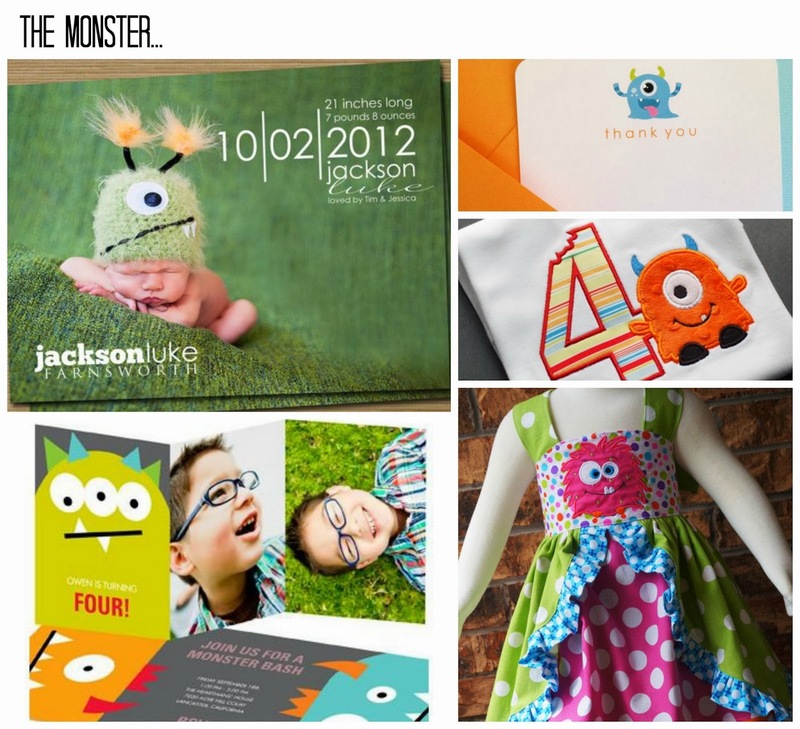 I do not love how boys clothes always refer to them as monsters. Creativity at its worst. BUT... 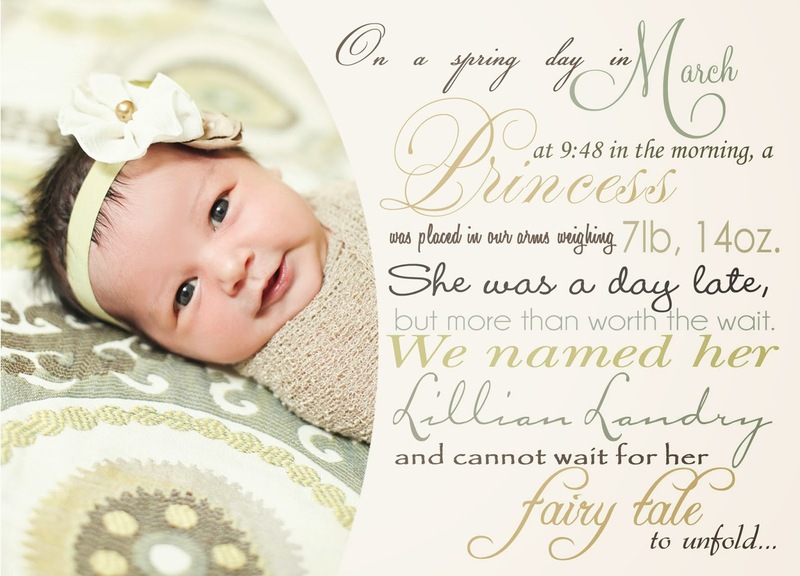 I LOVE this birth announcement and there are so many easy, fun party ideas for this theme. PLUS girls can rock this theme too! I think it would be adorable for twins. So this hat. Maybe enough of an excuse to have a baby just for that hat. 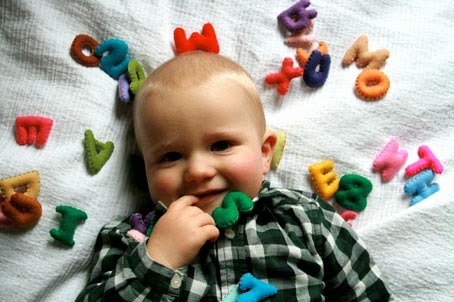 (KK - GET THIS FOR GRAHAM!!) I love the black invite with all the pop of color, this adorable dress and these trendy thank yous that can be used all the time! Isn't this song just lovely? We all know the words, we have probably all sung it to one or more of our children and it's just so sweet and whimsical. 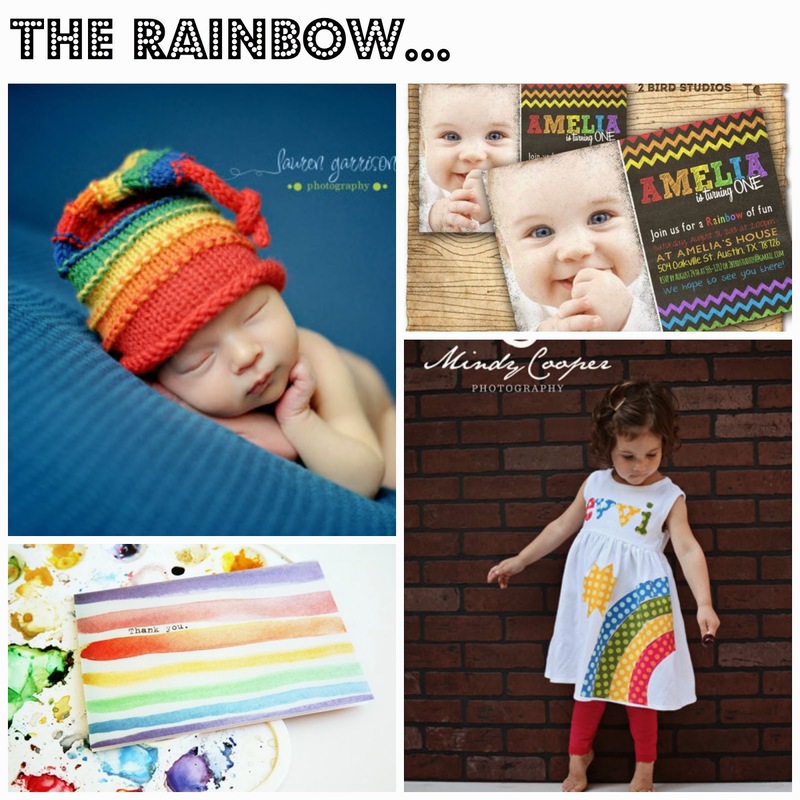 A fun theme for a "rainy season" birthday and totally could be gender neutral! What do you think? 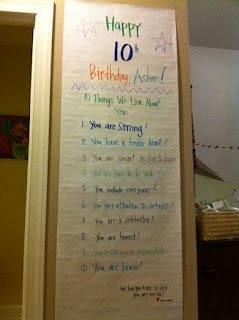 Any birthdays coming up in your house? We would love to hear all about it! Let us know in the comments below! You have tears in your eyes, don't you? You aren't crying alone, we do too! As a loyal reader, you know that we have discussed "keepsake photos" all week. 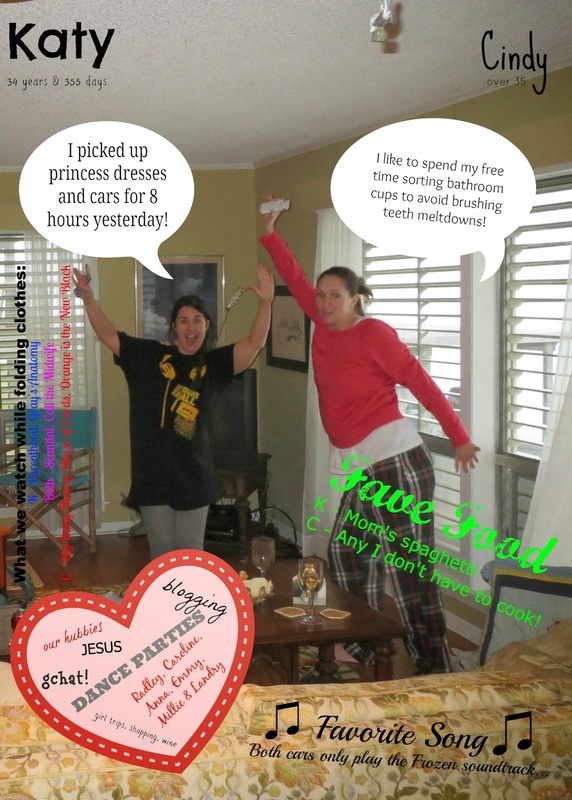 We showcased monthly pictures, yearly pictures and even showed you pics of us in our pjs! And CLEARLY we love pictures. But you know what we love even more, the stories that go with pictures. In a society that values a selfie more than a hand written note, we want you to take 30 minutes today and write a letter to someone you love. Tell them why you love them or share a funny story or whatever you want to share. While, we know Sophie isn't really real - YOUR kid is. So, write a letter to you kid about when they were tiny. Tell them how you felt the first time they laughed. Tell them your fears. Tell them how brave you were and ARE. Tell them about things you don't see in a picture. Tell them about you. Tell them a story about when you were little or how you fell in love with their other parent. And if you don't have kids, send a letter to your spouse, your mom, your friend...tell them something that will make their day better. Share a story from your perspective. Tell them about you. And, because we like to make you cry (in a good way) enjoy this story! Words matter! Say kind ones today! Are you still giggling over our keepsake photo? We are! We hope you enjoyed it. 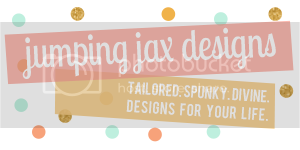 We really do want this blog to a place you turn to for card (all kinds) inspiration and fun. Thanks for joining us in our blogging journey. 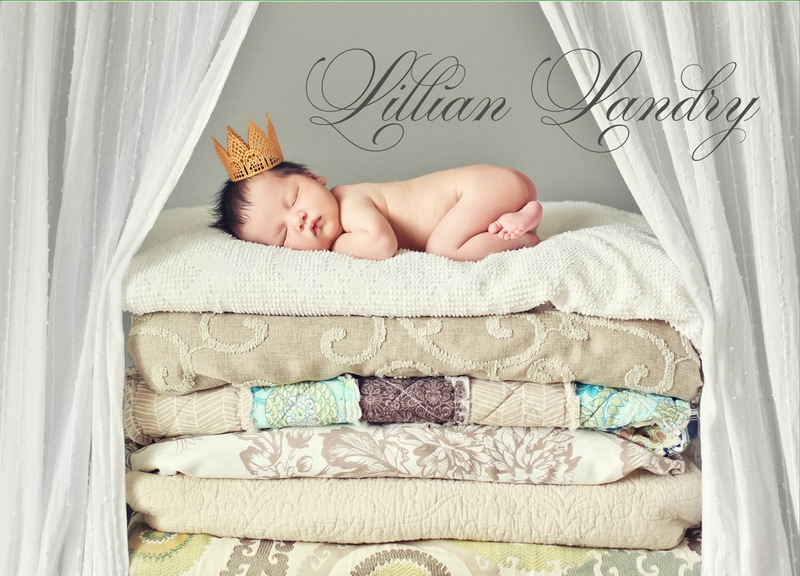 We are still smitten by Lyla's pictures! 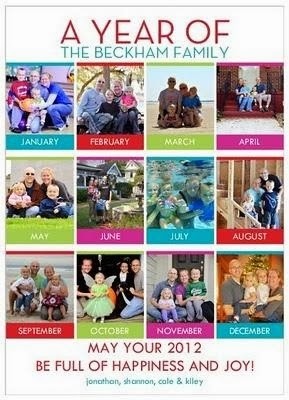 Yearly pictures are just an overall awesome idea...and lots of families start doing these way before the child's first birthday with "monthday" pictures. The Merry Mommas sure did ... well ... with babies #2 and #3 ... those first kids may get all the attention, but blogs/pinterest/etc. just weren't near as popular in 2007/2008. (Sorry Radley and Caroline!) We both had professional monthly (newborn, 3, 6, 9, 12) pictures taken and also did monthly pictures taken by "moms with fancy cameras" aka US! This is Millicent, Merry Momma Cindy's baby. Things to note - (1) Yes, Cindy likes a big bow, remember. 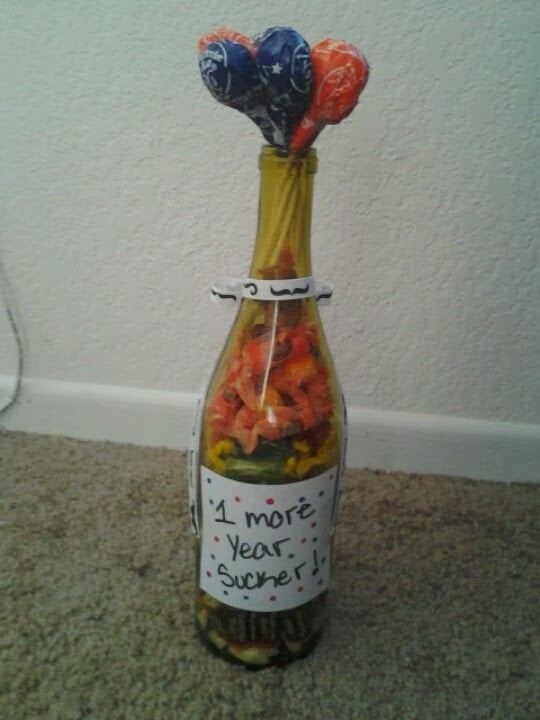 (2) This is not an original idea, the idea was found on Pinterest. Whoever came up with it, though -- SMART!! (3) Cindy's momma (Bebe to the grands) made the onesies. 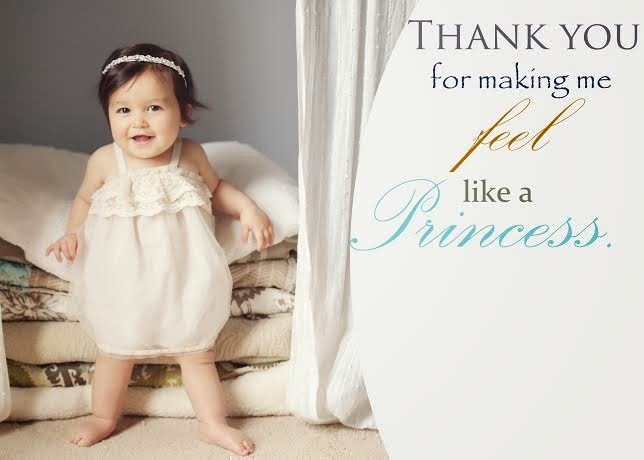 (4) It does kind of break our heart to look at these pics, Millicent is over 2 years old now. We did massive amounts of research (read lots of blog stalking and Pinterest looking) to find some other great examples of Month-By-Month photos...enjoy! Check out The Hills are Alive for a look at the complete Month-by-Month! This series focuses on his CUTE face - Famille Summer Belle. 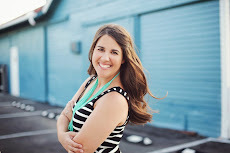 Mom*Tog is a great resource, check her out! 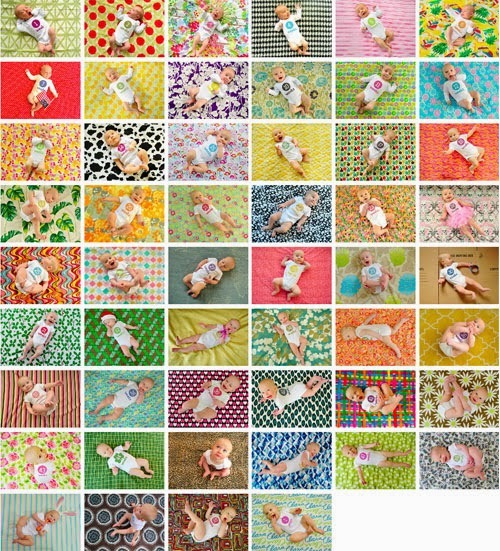 And for you over achieving parents ... Week-By-Week photos are a really cool idea! And, kiddos do really change each week. This darling little one is the daughter of the Young House Love folks. MONTH-BY-MONTH and a CHRISTMAS CARD! Lyla - Year By Year!